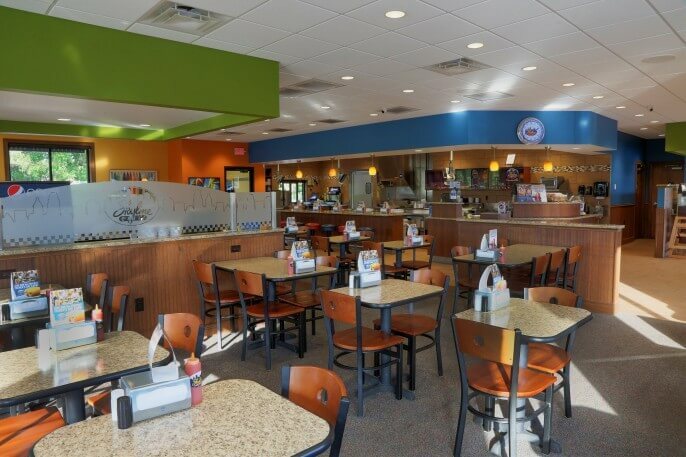 Skyline Chili is a Cincinnati-style restaurant chain known for its table side service in a casual atmosphere. 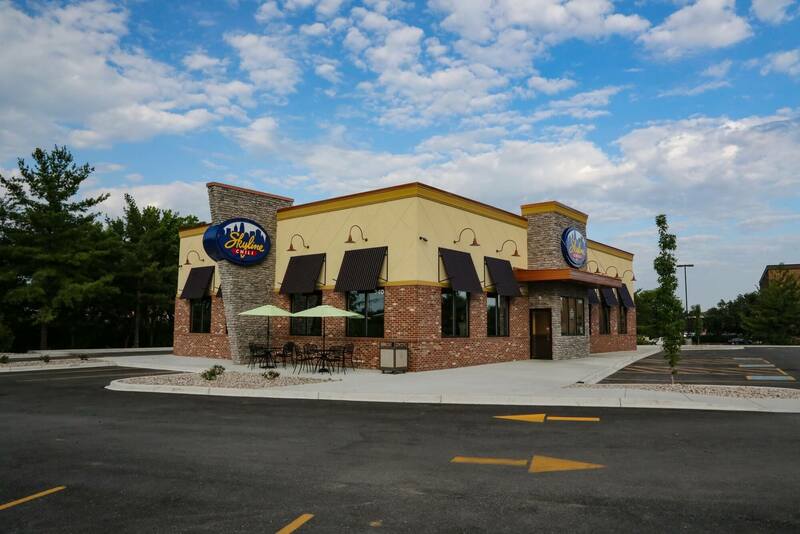 Kelley Construction was selected to be the general contractor on the construction, due to our expertise in the food service industry, of the Louisville, KY franchise located off Hurstbourne Lane. This 4,300 sq. ft. restaurant features a comfortable dining area with warm colors, sunny lighting, and wood accents. The restaurant’s exterior features a unique stone facade that gives the restaurant a hospitable ambiance. The restaurant's exterior features a unique stone facade that gives the restaurant a hospitable ambiance and a comfortable dining area with warm colors, sunny lighting, and wood accents.